Lobbyist Tom Olsen surprised many political watchers last weekend when he defeated Megan McCaffery in the United Conservative Party nomination contest in Calgary-Buffalo. 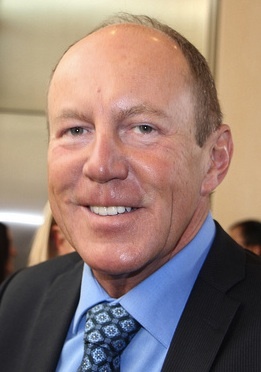 McCaffery, who has strong ties with the Manning Centre and had the endorsement of 9 UCP MLAs, was believed to be the favourite to win the contest in Calgary’s downtown district. Attentive readers of this blog will remember Olsen as the former spokesperson for Premier Ed Stelmach and later as Vice-President of Communications for the Progressive Conservative Party during Jim Prentice‘s brief reign. 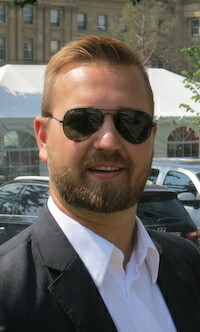 Olsen currently works as a lobbyist and his clients include the Calgary Residential Rental Association and Greyhound. Until recently, his client list included the Canadian Consumer Finance Association, the national group representing Pay Day Loan companies. 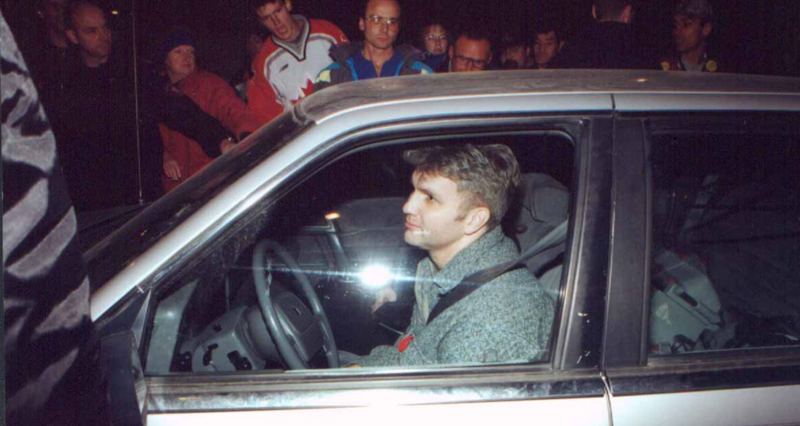 Tom Olsen crossing the picket-line during the strike by unionized staff, including reporters, at the Calgary Herald. The strike lasted from November 1999 to July 2000. Before taking a job in the Premier’s Office, Olsen worked as a reporter and politics columnist for the Calgary Herald. He crossed the picket-line and continued to work at the Herald while many of his colleagues and co-workers went on strike from November 1999 to July 2000. Olsen will face New Democratic Party candidate and provincial Finance Minister Joe Ceci in the next election. This district has not been fertile ground for conservative parties in the past, as it elected NDP or Liberal candidates in 8 of the past 10 elections. Liberal Party leader David Khan will run in the Calgary-Mountain View district in the next election. Khan will run to succeed his party’s only current MLA, David Swann, who is planning to retire from politics after serving four-terms in the Legislature. Khan will face NDP Justice Minister Kathleen Ganley, who currently represents Calgary-Buffalo but is seeking re-election in Mountain View, and Green candidate Thana Boonlert. Caylan Ford and Jeremy Wong are seeking the UCP nomination. This will be Khan’s fourth attempt to win a seat in the Legislative Assembly. He previously ran in the 2014 by-election in Calgary-West, the 2015 general election in Calgary-Buffalo, and the 2017 by-election in Calgary-Lougheed. Calgary-Currie – Dan Morrison is the sixth candidate to join the UCP nomination contest in this district. Morrison was previously a candidate for the federal Conservative nomination in Calgary-Signal HIll, where he cried foul after being disqualified by the party. Calgary-Varsity – Jason Copping is seeking the UCP nomination. Copping is co-chair of the UCP policy committee. He is a labour relations consultant, teaches at the University of Calgary, and is a member of the Alberta Labour Relations Board. Camrose – Jackie Lovely is seeking the UCP nomination. Lovely now lives in Camrose, but she previously was the Wildrose Party candidate in Edmonton-Ellerslie in the 2012 and 2015 elections. 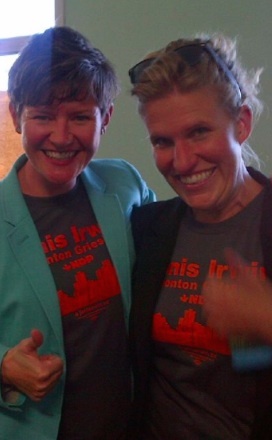 She is a former Wildrose Caucus staffer and past president of the Summerside Community League. Edmonton-Castle Downs – UCP members in this north Edmonton district will select their candidate on July 26, 2018. The three candidates contesting this nomination are Ed Ammar, Gennadi Boitchenko, and Arthur Hagen. 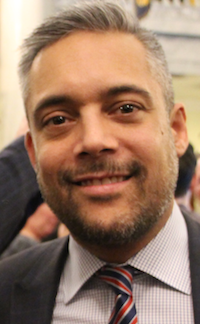 Ammar is a former Liberal candidate who played a large role in the formation of the UCP as the chair of the new party’s interim board. He is being endorsed by such conservative luminaries as Craig Chandler. Edmonton-Glenora – David Salopek is seeking the UCP nomination. 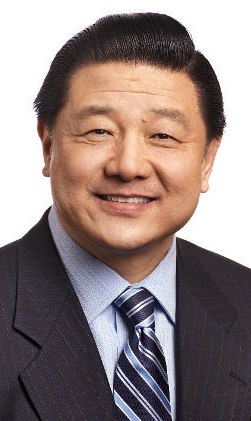 Edmonton-Highlands-Norwood – George Lam is seeking the UCP nomination. Many Edmontonians may remember Lam as a frequent municipal election candidate who played a role as spokesperson for the mysterious Henry Mak during the 2017 mayoral election. Lam earned 760 votes in his 2017 bid for Edmonton Public School Board trustee in Ward A.
Edmonton-Riverview – NDP MLA Lori Sigurdson will seek her party’s candidacy for re-election at a nomination meeting scheduled for August 14, 2018. Sigurdson is Minister of Seniors and Housing. 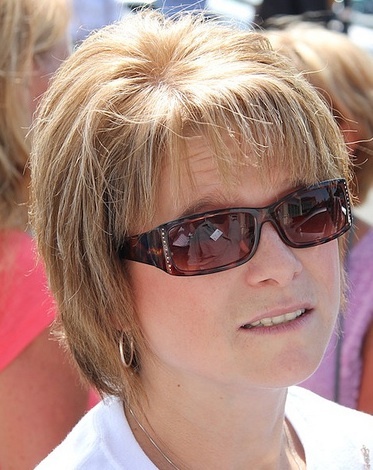 Lethbridge-West – Real Estate Agent Karri Flatla is seeking the UCP nomination. Livingstone-Macleod – Dylin Hauser is seeking the Liberal Party nomination. A nomination meeting has been scheduled for August 23, 2018. Vermilion-Lloydminster-Wainwright – Chris Carnell is seeking the UCP nomination. Carnell is a trustee with the Lloydminster Catholic School Division and was first elected in 2012. He previously served as a councillor in the Village of Frontier, Saskatchewan, and was nominated as the Green Party candidate in Cypress Hills-Grasslands ahead of the 2011 federal election but did contest the election. West Yellowhead – Ray Hilts is seeking the UCP nomination. Hilts has served on Whitecourt Town Council since October 2017. He is a director with the Alberta Forest Alliance. This entry was posted in Alberta Politics and tagged Alberta Election 2019, Alberta Election Candidate Nominations, Alberta Liberal Party, Alberta NDP, Arthur Hagen, Calgary Herald Strike, Calgary Signal Hill, Calgary-Currie, Calgary-Mountain View, Calgary-Varsity, Camrose, Caylan Ford, Chris Carnell, Craig Chandler, Cypress Hills-Grasslands, Dan Morrison, David Khan, David Salopek, David Swann, Dylin Hauser, Ed Ammar, Ed Stelmach, Edmonton-Castle Downs, Edmonton-Ellerslie, Edmonton-Glenora, Edmonton-Highlands-Norwood, Edmonton-Riverview, Gennadi Boitchenko, George Lam, Green Party of Alberta, Henry Mak, Jackie Lovely, Jason Copping, Jeremy Wong, Jim Prentice, Joe Ceci, Kathleen Ganley, Lethbridge-West, Livingstone-Macleod, Lori Sigurdson, Megan McCaffrey, Ray Hilts, Thana Boonlert, Tom Olsen, United Conservative Party, Vermilion-Lloydminster-Wainwright, West Yellowhead, Wildrose Party on July 24, 2018 by Dave Cournoyer. Can Wildrose survive Rob Anders? Can floor crossers survive PC Party? 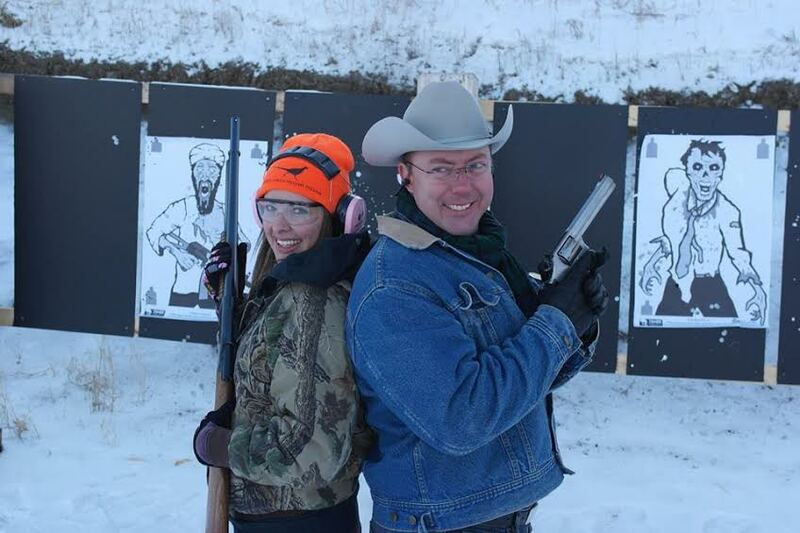 Calgary-West MP Rob Anders with former Conservative nomination candidate Melissa Mathieson in Feb. 2014. Initially turned away by Wildrose Party officials, controversial Conservative Member of Parliament Rob Anders has asked the Wildrose Party for a “waiver” to run for the party’s leadership. Having lost bids for federal Conservative nominations in Calgary-Signal Hill and Bow River last year, the controversial Mr. Anders, 42, is scrambling to salvage his 18 year long political career. Before crossing the floor to the PC Party, former leader Danielle Smith publicly told Mr. Anders that he was not welcome to run for the Wildrose Party. But now with the party weakened and without a leader, Mr. Anders may be in a position to mobilize his legions of social conservatives to win the leadership. Also said to be considering a run for the Wildrose leadership are former Strathcona County mayor Linda Osinchuk (a nominated candidate in Sherwood Park), former lobbyist Derek Fildebrandt (running for a nomination in Strathmore-Brooks) and Cypress-Medicine Hat MLA Drew Barnes. Can the PC-Wildrose MLAs survive? It appears that all or most former Wildrose MLAs who crossed the floor to the Progressive Conservatives in the final months of 2014 will face strong competitions to win their new party’s nominations to run in the next election. Lacombe-Ponoka MLA Rod Fox is facing former Ponoka Mayor Larry Henkleman and businessman Peter Dewit, Innisfail-Sylvan Lake MLA Kerry Towle is facing Red Deer County Mayor Jim Wood, Cardston-Taber-Warner MLA Gary Bikman is being challenged by Taber Reeve Brian Brewin, and Calgary-Shaw MLA Jeff Wilson is being challenged by arch-conservative activist Craig Chandler. If Olds-Disbury-Three Hills MLA Bruce Rowe decides to seek re-election, he will face a challenge from Olds Town Councillor Wade Bearchell, who is already campaigning for the PC nomination. Medicine Hat MLA Blake Pedersen is also expected to face a strong challenge and Airdrie MLA Rob Anderson has already announced he will not run for re-election. Immediately following the floor-crossings, Mr. Pedersen told the Medicine Hat News be believed their PC nominations were guaranteed, but that appears to be a key bargaining position the 9 Wildrose MLAs asked for and were denied before they joined the PCs. Now the question is how many of the Wildrose-turned-PC MLAs can survive to run in the next election? Could a potential cabinet shuffle save their political careers? What are PC-Wildrose MLAs are saying about being in government? What are PC MLAs saying about the PC-Wildrose MLAs? “This shows that was all politics. That’s unfortunate, and we will have to let that go. But I think everybody should understand that when they make accusations like that and then (cross the floor), it’s obvious there was a lot of political motivation there and not a lot of fact,” Mr. Horner said. I will be taking a short break from blogging for the next week. 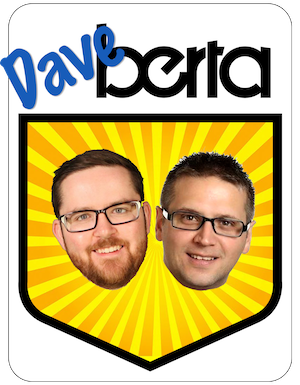 In my absence, take a look at David Climenhaga‘s excellent blog at AlbertaPolitics.ca. This entry was posted in Alberta Politics and tagged 2015 Alberta Election, 2015 Wildrose Leadership Race, Airdrie, Blake Pedersen, Bow River, Brian Brewin, Bruce Rowe, Calgary Signal Hill, Calgary-Shaw, Cardston-Taber-Warner, Craig Chandler, Cypress-Medicine Hat, Danielle Smith, David Climenhaga, Derek Fildebrandt, Doug Horner, Drew Barnes, Edmonton-Castle Downs, Gary Bikman, Innisfail-Sylvan Lake, Jeff Wilson, Jim Wood, Kerry Towle, Lacombe-Ponoka, Larry Henkleman, Linda Osinchuk, Olds-Disbury-Three Hills, Rob Anders, Rob Anderson, Sherwood Park, Spruce Grove-St. Albert, Strathmore-Brooks, Thomas Lukaszuk, Wade Bearchell on January 29, 2015 by Dave Cournoyer. With the next federal election less than one year away, the Conservative Party of Canada is close to nominating a full slate of candidates in Alberta’s 34 newly redrawn ridings. 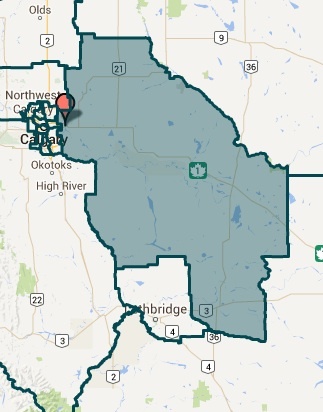 By my count, Calgary Rocky Ridge, Edmonton-Griesbach, Edmonton-Riverbend, Lakeland and Peace River-Westlock are the only ridings without nominated Conservative candidates in this province. The other parties lag behind, with the Liberals only having nominated eleven candidates, the NDP four and the Green Party only two. The Liberals rolled out a high-profile nominee in this northwest Calgary constituency. 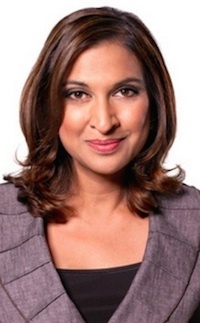 Former CBC News anchor Nirmala Naidoo has announced her plans to seek the Liberal nomination, scheduled for December 16, 2014. Five candidates are contesting the Conservative nomination in this constituency. Party activist Gord Elliott has collected endorsements from Nova Scotia MP Scott Armstrong and Manitoba Senator Donald Plett. City of Calgary lawyer Paul Frank also ran in Alberta’s 2012 Senator-in-Waiting election. 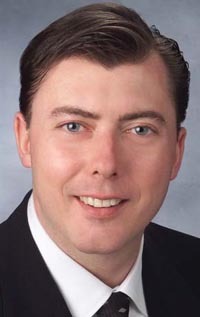 Patrick Kelly is a Conservative Party volunteer and former Real Estate Board member. Teacher and homebuilder Dan Morrison was a third candidate in his party’s painful Calgary-Signal Hill nomination. And Arnie Stephens is a retired oil and gas business executive with the endorsement of former MP Eric Lowther, who had initially announced plans to run in this nomination contest. Long-time partisan activist and lawyer Michael Cooper defeated past Edmonton-Strathcona candidate Ryan Hastman to become the next Conservative candidate in this suburban riding. Mr. Cooper is known in political circles for his hard-line conservative positions and has been involved in politics since he was a teenaged national director of the Canadian Alliance Party. His previously electoral experience includes running a generously self-financed campaign for St. Albert City Council at the age of 19 (he was unsuccessful in that bid). Mr. Cooper will face incumbent Independent Member of Parliament Brent Rathgeber. Mr. Rathgeber has been harshly critical of Prime Minister Stephen Harper since he resigned from the Conservative caucus in 2013. Former Member of Parliament Albert Cooper is looking to make a political comeback. The Progressive Conservative MP for the former Peace River riding from 1980 to 1993 faces school principal Terry Hogan for the Conservative nomination. 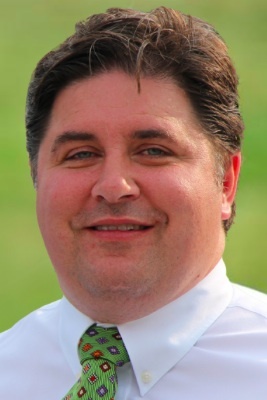 Popular Calgary-Buffalo Liberal MLA Kent Hehr was nominated as the federal Liberal candidate in this hotly contested riding on Nov. 28. First elected to the provincial assembly in 2008, Mr. Hehr will face off against Conservative incumbent Joan Crockatt. Ms. Crockatt was narrowly elected in a 2012 by-election that saw her party’s share of the vote drop by 18,210 votes. Only a sharp vote split between Liberal Harvey Locke and Green Chris Turner ensured a Conservative win. On Dec. 6, former city councillor Kerry Diotte and party organizer Omar Tarchichi will face off for the Conservative nomination in this redrawn east Edmonton riding. The current Edmonton-East riding is represented by MP body-cam advocate Peter Goldring, who plans to retire after 18 years in Ottawa. Mr. Tarchichi has received Mr. Goldring’s endorsement and both candidates have been endorsed by former premier Ed Stelmach. 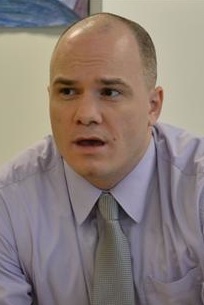 Mr. Diotte’s former council colleague Tony Caterina has endorsed Mr. Tarchichi. Past Wildrose candidate Garnett Genuis defeated three competitors one competitor to win the Conservative nomination in this new riding east of Edmonton. In the 2012 provincial election, Mr. Genuis ran as the Wildrose candidate in the Sherwood Park constituency, placing second behind PC candidate Cathy Olesen. I am maintaining a list of candidates who have announced their intentions to seek nominations and run in the next federal election in Alberta ridings. Please contact me at david.cournoyer [at] gmail.com for additions or updates related to candidate nominations in Alberta. This entry was posted in Alberta Politics and tagged Albert Cooper, Arnie Stephens, Brent Rathgeber, Calgary Signal Hill, Calgary-Buffalo, Calgary-Centre, Calgary-Rocky Ridge, Canadian Alliance, Cathy Olesen, Chris Turner, Dan Morrison, Donald Plett, Ed Stelmach, Edmonton-Griesbach, Edmonton-Strathcona, Eric Lowther, Garnett Genuis, Gord Elliott, Harvey Locke, Joan Crockatt, Kent Hehr, Kerry Diotte, Michael Cooper, MP Body-Cam, Nirmala Naidoo, Omar Tarchichi, Patrick Kelly, Paul Frank, Peace River-Westlock, Peter Goldring, Rodney Frank, Ryan Hastman, Scott Armstrong, St. Albert-Edmonton, Stephen Harper, Terry Hogan, Tony Caterina on December 2, 2014 by Dave Cournoyer. Dear Rob Anders, Take a Hint and Take a Hike. Prime Minister Stephen Harper and MP Rob Anders. Many Canadians hoped to have bade a final farewell to offensive conservative Member of Parliament Rob Anders when he lost the Conservative Party nomination in Calgary-Signal Hill to Ron Liepert earlier this year. But perhaps it was wishful thinking to believe a stunning rebuke in the area of the city he represented for 17 years was enough to end his political career. Hoping for a second chance, Mr. Anders attempted to win his party’s nomination in the rural Bow River riding, an area in which he does not live nor have any personal connection to. He told the media that Bow River was, unlike the suburbs of west Calgary, a place with “more trucks” and closer to the Alberta he “moved to in the 1980s.” [note: Mr. Anders was born in 1972]. But as all Albertans know, owning a pickup truck and holding offensive social conservative views are not mutually inclusive. So we all breathed a sign of relief when Mr. Anders was defeated in the Conservative’s Bow River nomination contest this weekend by Martin Shields, mayor of the City of Brooks. It is hard to imagine Bow River Conservative members appreciating an outsider like Mr. Anders wading into their local nomination, and his track record in Ottawa probably did little to enamour them. Mr. Anders is well-known for having called Nelson Mandela a terrorist, insulting Canadian veterans, calling for war against Russia, and blaming Thomas Mulcair for hastening the death of former NDP leader Jack Layton. Licking his wounds after a second defeat, what can we expect Mr. Anders do next? Without a political party to support him in the next election, what is Mr. Anders next move? 1) Take a hint and take a hike: Mr. Anders should probably take a break from politics, but he probably will not. He might end up working as a commenter with Sun News talk show host Ezra Levant, as a political advisor for some right-wing lobby group, or as an advisor to another socially conservative MP in Ottawa. By the time the next federal election is called in October 2015, Mr. Anders will have spent 18 of his 42 years on Earth as a Member of Parliament (he was first elected when he was 24 years old). He knows nothing but life in politics. 2) Run for another Conservative Party nomination. By my count, there are at least a dozen Conservative Party nomination contests still open in Alberta (and an imminent by-election in Yellowhead). Looking abroad, he could also decide to run for a nomination in another province, like British Columbia or Saskatchewan. If I were the Conservative Party, I would sternly warn him that he would be severely unwelcome to run in another riding. If I were the opposition New Democrats or Liberals, I would encourage him to keep on running. 3) Run as an Independent or for another party. His own party has rejected him twice, so he could decide to mobilize his social conservative followers to inflict revenge and damage on a party that no longer wants him in Ottawa. Mr. Anders would not likely win if he ran as an Independent, or even as another party’s candidate (perhaps, the Christian Heritage Party), but he could exert revenge by becoming a major nuisance for Mr. Liepert in Calgary-Signal Hill. 4) Go back to the USA. With the 2016 presidential elections around the corner, maybe Mr. Anders could pull out his old Pinocchio nose and start applying for jobs south of the border. Three years before Mr. Anders was elected as the MP for Calgary-West, he worked as a political agitator for the Republican Party in the United States. In the video below, he demonstrates his political talents while trying to embarrass Oklahoma Democratic Party Senate candidate Dave McCurdy. This entry was posted in Alberta Politics and tagged 2016 United States Presidential Election, Bow River, Bow River Conservative Nomination, Calgary Signal Hill, Calgary-West, Christian Heritage Party, City of Brooks, Dave McCurdy, Ezra Levant, Honourary Canadian Citizenship, Jack Layton, Martin Shields, Nelson Mandela, Oklahoma Senate Election, Pickup Trucks, Pinocchio, Rob Anders, Ron Liepert, Stephen Harper, Thomas Mulcair, Yellowhead by-election on September 22, 2014 by Dave Cournoyer. Former Conservative MP Rob Merrifield will soon be Alberta’s new representative in Washington D.C.
Premier Jim Prentice announced this week that five-term Conservative Member of Parliament Rob Merrifield would be appointed as Alberta’s representative in Washington D.C. Mr. Merrifield’s resignation from the House of Commons means that a federal by-election will need to be called in the Yellowhead riding by March 17, 2015. This would be the fourth federal by-election in Alberta since the 2011 general election. Yellowhead County mayor Gerald Soroka is the first to announce he will seek the Conservative nomination in this riding. Mr. Soroka was first elected mayor in 2007. Mr. Merrifield earned 77% of the vote in the 2011 election, so this is widely considered a safe riding for the Conseravtives. Conservative Party members in southern Alberta’s new Bow River riding are voting today to choose their next candidate. UPDATE: Rob Anders has lost the Conservative nomination in Bow River. Brooks mayor Martin Shields will be the Conservative candidate in the next election. On July 31, 2014, this website was the first to report that controversial Calgary MP Rob Anders would seek the nomination in this riding following his defeat in Calgary-Signal Hill. Outsider Mr. Anders is facing challenges from local municipal politicians Martin Shields and Rolly Ashdown, and Mount Royal University economics lecturer Gerard Lucyshyn. Media have been banned from attending the forums of the Conservative nomination forums in the Bow River riding. This is no doubt to spare the Conservative Party of the embarrassment of having Mr. Anders on their ballot in that riding. Last week, the Medicine Hat News reported an embarrassing exchange at a forum in that riding’s nomination contest which saw two social conservative candidates debating gay-rights and women’s access to abortion. Local Conservative member Brian De Jon told the Brooks Bulletin that there has been “no substance” at the Bow River forums anyway. An “Anybody But Xiao” (ABX) campaign is heating up in this new west Edmonton riding. With candidate Brad Rutherford dropping out and throwing his support behind Kelly McCauley, a group of local Conservatives are trying to prevent Edmonton-McClung Progressive Conservative MLA David Xiao from winning the nomination. Mr. McCauley, a local innkeeper, has the support of most Conservative MPs and the party establishment and is seen as having the best chance of defeating the local MLA. Mr. Xiao’s hefty public expenses and history in a past federal nomination campaign against Edmonton-Centre MP Laurie Hawn are said to have left a bad memories in the minds of local Tories. But Mr. Xiao has his supporters. Former Edmonton mayor and newly appointed provincial health minister Stephen Mandel, former Premier Ed Stelmach, Justice minister Jonathan Denis and Infrastructure minister Manmeet Bhullar have all pledged their endorsements to Mr. Xiao. Conservative candidate Joan Crockett sent a shot across the bow of popular Calgary-Buffalo Liberal MLA Kent Hehr’s campaign last week. In a column in the Calgary Herald, Ms. Crockatt claimed that Mr. Hehr has done little as an MLA to help with flood recovery in Calgary’s central neighbourhoods (also naming him in the same sentence as disgraced former Premier Alison Redford). Mr. Hehr, who is seeking the Liberal nomination in the riding told the told Herald reporter James Wood that “it’s politics.” “Joan and I are going to have a lot of time to discuss the issues and she’s just getting an early jump on it,” Mr. Hehr said. On the topic of controversial debates, Lethbridge MP Jim Hillyer defeated Dan Hein to become the Consevative candidate in this new southern Alberta riding. The Cardston Temple City Star reported that just under 1,400 votes were cast over the three day selection period. Most Edmontonians probably would not have noticed when Official Opposition leader Thomas Mulcair and 96 New Democratic Party MPs descended on the city for their caucus meeting earlier this month. But while the NDP MPs did appear to spend most of their time behind closed doors, they did take a notable break to help out a local candidate in east Edmonton’s new Griesbach riding. NDP MPs Libby Davies, Megan Leslie , Dany Morin and Ruth Ellen Brosseau hit the doors with candidate Janis Irwin and Edmonton-Highlands-Norwood NDP MLA Brian Mason. 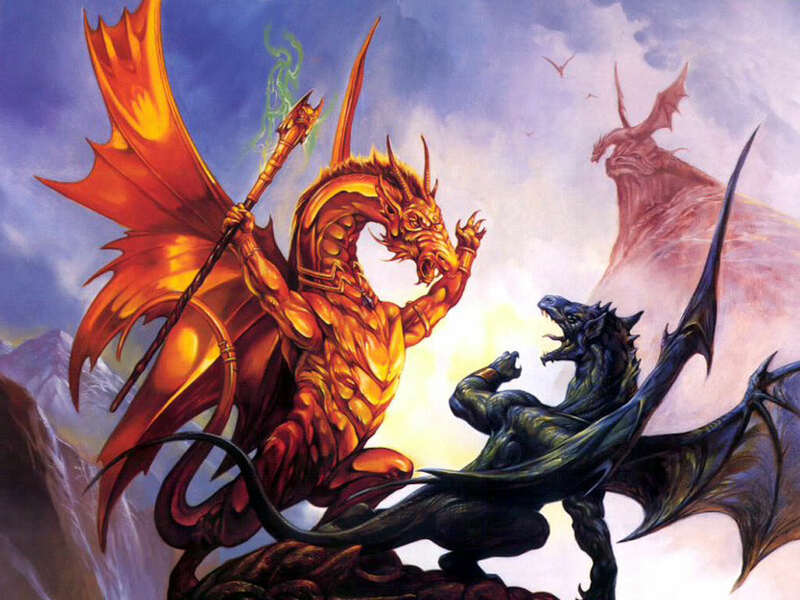 The NDP are hoping they can turn their 37% showing in 2011 into a win in 2015. Confirming what many believed to be inevitable, six-term Conservative MP Peter Goldring announced that he will not seek re-election. Mr. Goldring has endorsed Omar Tarchichi over former mayoral candidate Kerry Diotte in the nomination contest to replace him. Curiously, for a governing party’s candidate, Mr. Tarchichi’s campaign has chosen “Rise Up” as its slogan. It is unclear what Mr. Tarchichi plans to rise up against. Two candidates have stepped forward to run for the Conservative nomination in the new Lakeland riding after three-term backbencher Brian Storseth announced he was retiring from federal politics. Ms. Stubbs will face Lewis Semashkewich, an Aspen View Public School Board trustee. The Athabasca Advocate reported that Mr. Semashkewich is calling for the construction of a new oil refinery in that corner of the province. Lawyer Tom O’Leary is seeking the Liberal nomination in the new Edmonton-Riverbend riding. Len Thom will carry the Conservative banner against NDP MP Linda Duncan in the next election. The lawyer of and provincial PC Party constituency president was acclaimed at a nomination meeting this week. An updated list of federal candidate nominations in Alberta can be found here. This entry was posted in Alberta Politics and tagged Alison Redford, Anybody But Xiao, Bow River, Brad Rutherford, Brian De Jon, Brian Mason, Brian Storseth, Calgary Herald, Calgary Signal Hill, Calgary-Buffalo, Calgary-Centre, Candidate nominations, Dan Hein, Dany Morin, David Xiao, Edmonton-Centre, Edmonton-Highlands-Norwood, Edmonton-McClung, Edmonton-Riverbend, Edmonton-Strathcona, Edmonton-West, Fort Saskatchewan-Vegreville, Gerald Soroka, Gerard Lucyshyn, James Wood, Janis Irwin, Jim Hillyer, Jim Prentice, Joan Crockatt, Jonathan Denis, Kelly McCauley, Kent Hehr, Lac La Biche-Two Hills-St. Paul, Lakeland, Laurie Hawn, Len Thom, Lethbridge, Lewis Semashkewich, Libby Davies, Linda Duncan, Manmeet Bhullar, Martin Shields, Medicine Hat-Cardson-Warner, Megan Leslie, Omar Tarchichi, Peter Goldring, Rob Anders, Rob Merrifield, Rolly Ashdown, Ruth Ellen Brosseau, Shannon Stubbs, Shayne Saskiw, Stephen Mandel, Tom O'Leary, Yellowhead by-election on September 20, 2014 by Dave Cournoyer. Sources say controversial MP Rob Anders could run for the Conservative nomination in the new Bow River riding. 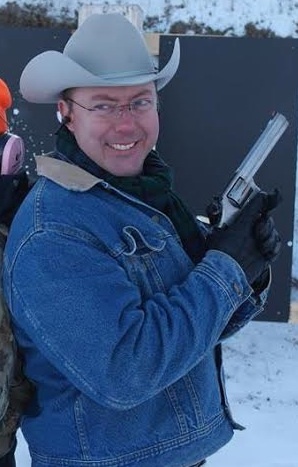 Sources say that controversial Member of Parliament Rob Anders is preparing to run for the Conservative Party of Canada nomination in new rural Bow River riding east of Calgary. The six-term MP has represented Calgary-West since 1997 but lost a heated Conservative nomination contest in the new Calgary-Signal Hill riding to former Progressive Conservative MLA Ron Liepert in April 2014. It had been speculated that Mr. Anders could run in the neighbouring riding of Calgary-Rocky Ridge. It is unclear whether Mr. Anders, who has the endorsement of senior cabinet minister Jason Kenney, will be approved by the Ottawa Tories as their candidate in this new riding. 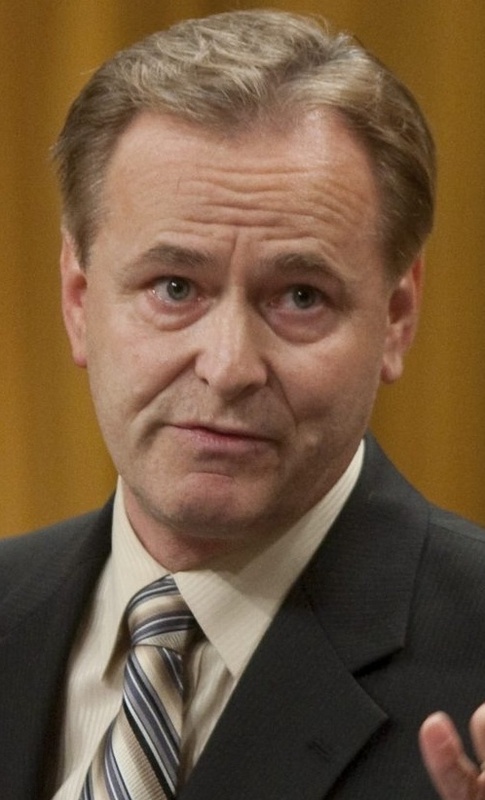 Maybe the most hard-edged social conservative in Ottawa, Mr. Anders is well-known for being the sole parliamentarian to vote against granting former South African president Nelson Mandela an honorary Canadian citizenship. He also embarrassingly attacked two Canadian Forces veterans, who he described as “NDP hacks.” He used his podium at an official Government of Canada press conference to endorse right-wing conservative Ted Morton. And he most recently suggested that former NDP leader Jack Layton‘s death was hastened by now-leader Thomas Mulcair. Mr. Anders would face some local challengers in this new riding. Rockyview County councillor Rolly Ashdown is expected to enter the Bow River Conservative contest this week and City of Brooks mayor Martin Shields announced his candidacy last month. Popular country music artist George Canyon briefly sought the Conservative nomination, but has since withdrawn from the contest. This entry was posted in Alberta Politics and tagged 2015 Canada Federal Election, Bow River, Calgary Signal Hill, Calgary-Rocky Ridge, Calgary-West, Conservative nomination contest, George Canyon, Jack Layton, Jason Kenney, Martin Shields, NDP hacks, Nelson Mandela, Ottawa Tories, Rob Anders, Rolly Ashdown, Ron Liepert, Social Conservative, Ted Morton, Thomas Mulcair on July 31, 2014 by Dave Cournoyer. While the epic battle between Rob Anders and Ron Liepert in Calgary-Signal Hill was entertaining to watch, preparation for the next federal election has sparked nomination contests in ridings across the province. And with two by-elections expected to be called within weeks, federal political parties are lining up their candidates for the vote. 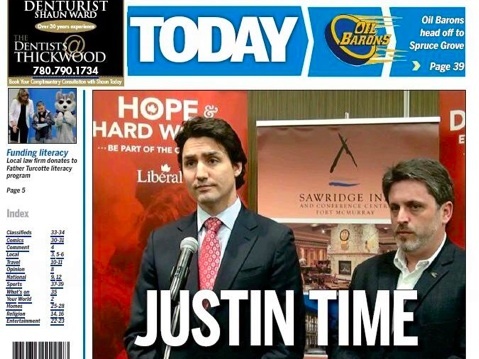 Justin Trudeau and Kyle Harrietha on the front page of Fort McMurray Today. On March 30, Liberal Party members chose Kyle Harrietha as their candidate. Mr. Harrietha faced Chris Flett in the nomination contest. The Liberals are expected to run a strong campaign in the sprawling northeast Alberta riding. Liberal leader Justin Trudeau recently visited the riding, drawing a crowd of hundreds to a meet-and-greet event in Fort McMurray. The Conservative Party will hold its nomination votes on April 24 in High Prairie and Slave Lake, April 25 in Athabasca and Lac La Biche, and April 26 in Fort McMurray. The results will be announced following the Fort McMurray vote. Fort McMurray lawyer Arlan Delisle and Athabasca County councillor David Yurdiga are the only two candidates seeking the nomination. Oilsands worker Lori McDaniel will run for the New Democrats and firefighter Tim Moen is the Libertarian Party candidate. 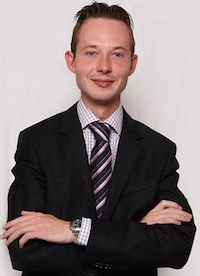 On April 6, Dustin Fuller was nominated as the federal Liberal candidate in the upcoming by-election. Mr. Fuller will face Conservative John Barlow when the by-election is called. There has so far been no sign of any NDP or Green Party candidates. Country music crooner George Canyon has withdrawn his name from the Conservative nomination contest in southern Alberta’s Bow River. Christian television talk show host Paul Arthur has since announced he will seek the nomination. Michelle Rempel was acclaimed as the Conservative candidate in this newly redrawn north Calgary riding. Ms. Rempel has represented the Calgary-Centre North riding since 2011. Recent defeated in the Calgary-Signal Hill nomination contest, Mr. Anders may seek the Conservative nomination in this neighbouring riding. The Conservative nomination is already being sought by former MP Eric Lowther and party organizer Gord Elliott. Mr. Lowther represented Calgary-Centre as the Reform Party/Canadian Alliance MP from 1997 until 2000, when he was defeated by former Prime Minister Joe Clark, who had returned to politics to lead the Progressive Conservative Party of Canada. Edmonton-Sherwood Park MP Tim Uppal has decided to jump across the city to seek the Conservative nomination in the new Edmonton-Mill Woods riding. Mr. Uppal was the Canadian Alliance/Conservative candidate in that area in 2000 and 2004 but was defeated by Mike Lake for the Conservative nomination in 2006. Varinder Bhullar is seeking the Liberal nomination and Deep Hundal has announced that he plans to run for the NDP nomination. Will James Rajotte run for the Alberta PC Party leadership? It seems unlikely, but rumours persist. Tofael Chowdhury is challenging Mr. Rajotte for the Conservative nomination in this new south Edmonton riding. This is not Mr. Chowdhury’s first attempt at a party nomination. 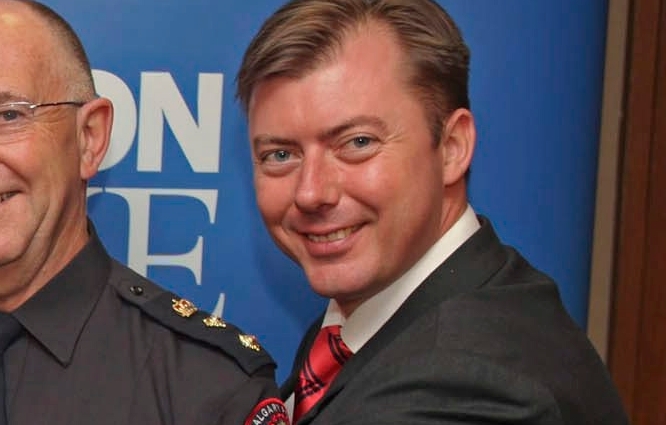 In 2011, he challenged Matt Jeneroux for the Progressive Conservative nomination in the provincial riding of Edmonton-South West and in 2008 he unsuccessfully sought the federal Liberal Party nomination in Edmonton-Strathcona. Edmonton Police Constable Brad Rutherford has entered the Conservative nomination race in this new riding. He will face Edmonton-McClung PC MLA David Xiao, who announced his candidacy in March. 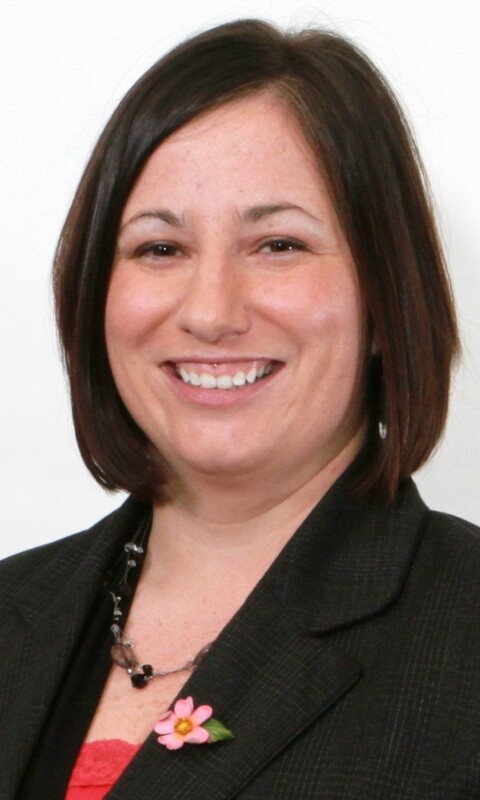 Recent municipal election candidate Nicole van Kuppeveld has announced she will seek the Conservative nomination in this new riding east of Edmonton. Ms. van Kuppeveld, the former president of the Sherwood Park provincial PC Party, will face off against Garnett Genuis, the 2012 Wildrose candidate in Sherwood Park. If there are any additions to the list of nomination candidates for the 2015 federal election, please contact me through the comment section below or by email at david.cournoyer [at] gmail.com. This entry was posted in Alberta Politics, Canadian Politics, Candidate nominations and tagged 2015 Canada Federal Election, Arlan Delisle, Bow River, Brad Rutherford, Calgary Signal Hill, Calgary-Centre, Calgary-Centre North, Calgary-Nose Hill, Calgary-Rocky Ridge, Candidate nominations, Chris Flett, David Xiao, David Yurdiga, Deep Hundal, Dustin Fuller, Edmonton-McClung, Edmonton-Mill Woods, Edmonton-Riverbend, Edmonton-Sherwood Park, Eric Lowther, Fort McMurray-Athabasca by-election, Garnett Genuis, George Canyon, Gord Elliott, James Rajotte, Joe Clark, John Barlow, Justin Trudeau, Kyle Harrietha, Lori McDaniel, Macleod By-Election, Michelle Rempel, Mike Lake, Nicole van Kuppenveld, Paul Arthur, Rob Anders, Ron Liepert, Sherwood Park-Fort Saskatchewan, Tim Moen, Tim Uppal, Tofael Chowdhury, Varinder Bhullar on April 16, 2014 by Dave Cournoyer. Former MLA Ron Liepert defeated 17-year MP Rob Anders in a nasty and divisive contest for the Conservative nomination in the new Calgary-Signal Hill riding. It finally happened. The man who called Nelson Mandela a terrorist, insulted Canada’s veterans, and called for war against Russia, has suffered his first major defeat since he was first elected in 1997. After a campaign filled with accusations of dirty tricks and political mischief, arch conservative Member of Parliament Rob Anders lost the Conservative Party nomination in the new Calgary-Signal Hill riding. 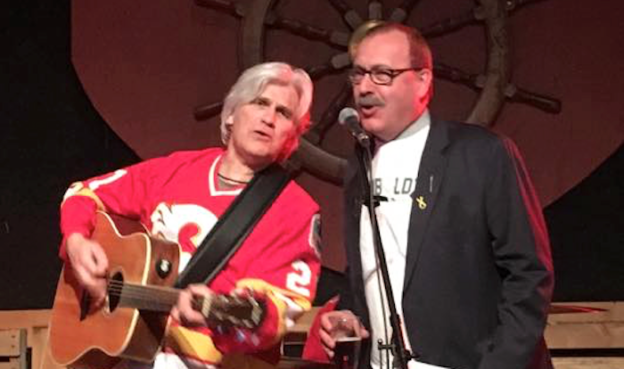 After 17-years and many attempts, Calgary’s political establishment finally managed to achieve their goal of denying Mr. Anders the party nomination he needs to win in the next election. It highlights how divisive a figure Mr. Anders is that Calgarians rallied around and many outsiders (including myself) quietly cheered for his opponent, Ron Liepert. The former provincial cabinet minister’s record suggests that he is not a Red Tory, as some would expect, and perhaps not even a moderate conservative. During his time in provincial politics, Mr. Liepert was known as a hard-nosed conservative bulldog who the media cast as the bully of the Alberta Legislature. He will fit in well in Stephen Harper‘s Ottawa. To his credit, Mr. Liepert accomplished something that many other challengers failed to do. Mr. Anders had until yesterday succeeded in the past in besting high-profile challenges from former MLA Jocelyn Burgener, future premier Alison Redford and future MLA Donna Kennedy-Glans in nomination votes and defeated future Calgary mayor Dave Bronconnier and former Liberal MLA Frank Bruseker in general elections. Unless he decides to seek a nomination in the neighouring Calgary-Rocky Ridge riding or elsewhere, Mr. Anders is now partially unleashed from his partisan obligations in the next campaign and could cause serious trouble for Mr. Liepert and his party before the 2015 election. While Mr. Liepert may not prove to be a huge improvement from Mr. Anders, he and his team have certainly done Canadians a service by delivering Mr. Anders the political defeat he deserved. I am sure I speak for many Canadians when I say: good riddance, Mr. Anders. This entry was posted in Alberta Politics, Canadian Politics, Candidate nominations and tagged Alison Redford, Calgary Signal Hill, Calgary-Rocky Ridge, Conservative Party nomination, Dave Bronconnier, Donna Kennedy-Glans, Frank Brusker, Jocelyn Burgener, Nelson Mandela, Rob Anders, Ron Liepert, Stephen Haprer, Terrorist, War against Russia on April 13, 2014 by Dave Cournoyer. With the race for the Conservative Party nomination in Calgary-Signal Hill in less than 10 days, the Rob Anders campaign has broadcast a new robocall praising the incumbent MP for decreasing the federal Goods and Services Tax. The message also includes an attack on his opponent Ron Liepert for musing about introducing a Provincial Sales Tax while he was Alberta’s Finance minister. Mr. Liepert, who was known for his abrasive and partisan approach in the Legislature, appears to have found his match in this nomination contest. Personal attacks and threats of lawsuits have turned the race to become the Conservative candidate in the next election into a race into a race to the bottom. 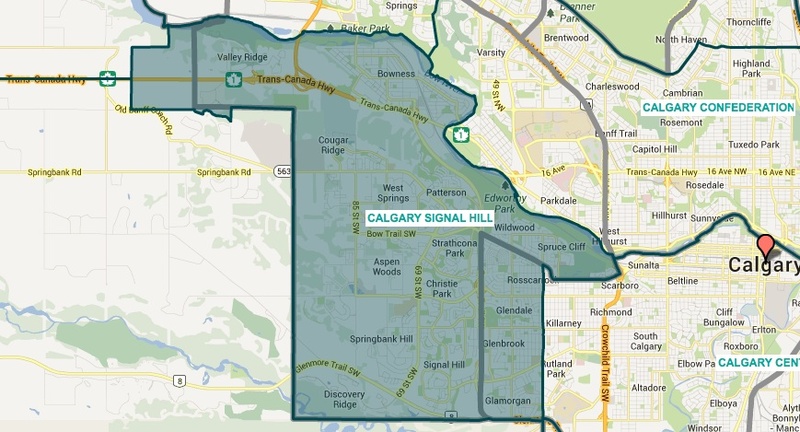 It appears that no matter who wins the nomination on April 12, the voters of Calgary-Signal Hill will still lose. This entry was posted in Alberta Politics and tagged Calgary Signal Hill, Conservative Party of Canada, Goods and Services Tax, Nomination Race, Provincial Sales Tax, Rob Anders, Ron Liepert on April 2, 2014 by Dave Cournoyer. With Dave Hancock being sworn-in as the 15th Premier of Alberta and speculation running rampant about who will replace him in four to six months, I thought now would be a good opportunity to provide a quick update about nominations for federal election candidates in Alberta. 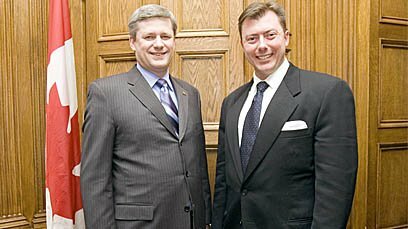 In what could be a deciding factor in one of Calgary most hotly contested Conservative Party nomination races, Member of Parliament Rob Anders has posted on his website an endorsement from Prime Minister Stephen Harper. One of Canada’s most offensive hyper-Conservatives, Mr. Anders is facing a stiff nomination challenge in the new Calgary-Signal Hill from former Calgary MLA and provincial cabinet minister Ron Liepert. Mr. Harper’s endorsement is sure to inflame supporters of Mr. Liepert, who will be quick to point out how unusual it is for leader of a party to openly endorse a candidate in a contested nomination race. Moderate Tories have tried for 17 years to grab the nomination from Mr. Anders, sending high-profile candidates like Alison Redford, Jocelyn Burgener and Donna Kennedy-Glans to run against him, to no avail. Unlike the raucous Conservative by-election nomination race in Macleod, the contest to choose the next Conservative candidate in northeastern Alberta’s Fort McMurray-Athabasca is a sleepy affair. As of this morning, only Fort McMurray lawyer Arlan Delisle and Athabasca County councillor David Yurdiga have entered the Conservative nomination race. Today, March 24, is the deadline for candidates to enter the Conservative Party nomination contest and the cutoff for membership sales is March 31, 2014. 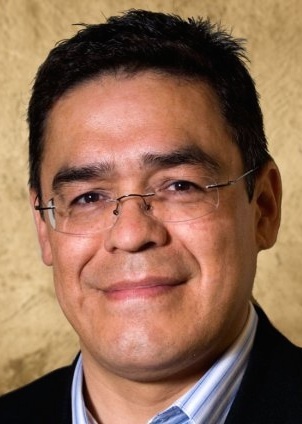 On March 26, Edmonton-Centre’s Lewis Cardinal is expected to be acclaimed as the first New Democratic Party candidate nominated for the 2015 federal general election. The nomination meeting will take place in the lobby of the Winspear Centre and will leader Thomas Mulcair and a handful of NDP MPs from across the country. The lobby of the Winspear is a memorable place for many local New Democrats, who remember when Jack Layton used the venue to host a large and energy-filled election campaign rally in 2008. No candidates have yet to step forward for the Conservative nomination since MP Laurie Hawn announced his resignation on March 9, 2014. Three candidates – Randy Boissonnault, Harold Robinson and Don Padget – are seeking the Liberal Party nomination. Varinder Bhullar has announced that he will seek the Liberal Party nomination in the new Edmonton-Mill Woods riding. When Edmonton-Mill Woods-Beaumont MP Mike Lake decided to seek the Conservative nomination in the new Edmonton-Wetaskiwin riding, he was taking a gamble. Mr. Lake, who lives a south Edmonton neighbourhood included in the new riding now facing the challenge of winning a nomination in a riding where 75% of the new territory is new ground. Well-respected in Edmonton, he is now facing a challenge from Leduc County mayor John Whaley and Edmonton police officer Mohinder Banga. First-term MP Jim Hillyer is facing two challengers for the Conservative nomination in the new Lethbridge riding. 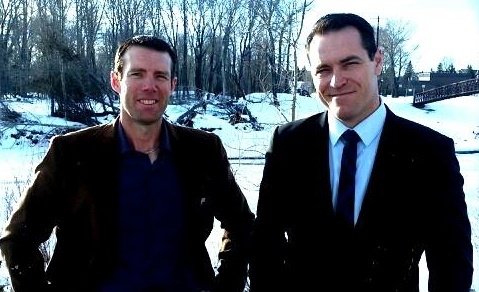 With Mr. Hillyer cut-off from his base of support in the southern half of the former Lethbridge riding, Doug McArthur and Alex Hann hope to replace him as the Tory candidate. MP Earl Dreeshen has announced his plans to seek the Conservative nomination in the new Red Deer-Mountain View riding. Mr. Dreeshen has represented the current Red Deer riding since 2008. This entry was posted in Alberta Politics, Canadian Politics, Candidate nominations and tagged Alex Hann, Alison Redford, Arlan Delisle, Calgary Signal Hill, Dave Hancock, David Yurdiga, Don Padget, Donna Kennedy-Glans, Doug McArthur, Earl Dreeshen, Edmonton-Centre, Edmonton-Mill Woods, Edmonton-Mill Woods-Beaumont, Edmonton-Wetaskiwin, Fort McMurray-Athabasca by-election, Harold Robinson, Jack Layton, Jim Hillyer, Jocelyn Burgener, John Whaley, Laurie Hawn, Lethbridge, Lewis Cardinal, Mike Lake, Mohinger Banga, Randy Boissonnault, Red Deer-Mountain View, Rob Anders, Ron Liepert, Stephen Harper, Thomas Mulcair, Varinder Bhullar, Winspear Centre on March 24, 2014 by Dave Cournoyer. Boundaries of the new Calgary Signal Hill riding. Former provincial cabinet minister and MLA Ron Liepert officially announced in a statement this morning his intentions to seek the Conservative Party of Canada nomination in the newly redistributed Calgary Signal Hill riding. Mr. Liepert’s candidacy has been widely suspected since the “timetodobetter.ca” group announced it would support a candidate to challenge ultra-conservative Member of Parliament Rob Anders. Mr. Anders has represented west Calgary since 1997 and since then he has defeated a “who’s who” of challengers who would seek to defeat him in the nomination contest or general election. Ten days ago a concerned group of community members launched a campaign featuring a few road signs and a website “timetodobetter.ca.” The initiative was designed to re-engage federal Conservatives in the city’s west and northwest that will form the new Signal Hill riding in the next election. This initiative was led by Conservative party members who are strong supporters of the Conservative cause and Prime Minister Stephen Harper. The website registered over 3000 visitors and over 500 email sign-ups within just over a week signalling early and overwhelming support for democracy and open nominations. As a result Conservatives from throughout the Calgary Signal Hill riding became excited again. I was proud to be a member of the group and overwhelmed by the response our campaign generated. So now it is time to take the next step. Today I am announcing that I will put my name forward as a candidate for the federal Conservative nomination in Calgary Signal Hill when it is called this year. Mr. Liepert is the second candidate to announce a challenge to Mr. Anders in Calgary Signal Hill. Former Calgary-West Conservative president Dan Morrison announced his candidacy last week. Canada’s next federal election is scheduled to be held on October 19, 2015. I am maintaining a list of candidates who have announced their intentions to seek nominations and run in the next federal election in Alberta ridings. Please contact me at david.cournoyer [at] gmail.com for additions or updates related to candidate nominations in Alberta. This entry was posted in Alberta Politics, Canadian Politics, Candidate nominations and tagged Calgary Signal Hill, Calgary-West, Conservative nomination, Dan Morrison, Federal Election 2015, Rob Anders, Ron Liepert on January 16, 2014 by Dave Cournoyer. Ron Liepert versus Rob Anders: the next PC-Wildrose proxy war? 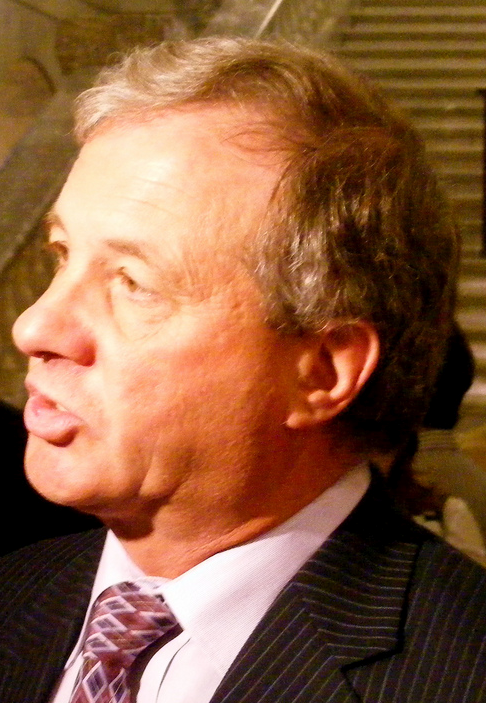 Will former provincial cabinet minister Ron Liepert make the jump into federal politics? With the launch of the TimeToDoBetter.ca website today, rumours began to spread that the former two-term Calgary-West Progressive Conservative MLA turned consultant could challenge ultra-conservative Rob Anders for the Conservative Party nomination in the new Calgary Signal Hill riding. Mr. Liepert’s candidacy would surely spark another proxy-war between the supporters of the provincial PC and Wildrose parties first seen in last year’s Calgary-Centre by-election. This would not be the first time these two men have publicly sparred. In 2009, Mr. Liepert accused Mr. Anders of campaigning against him in the 2008 provincial election. Many of Mr. Anders associates have joined Danielle Smith‘s Wildrose Party, including his close confident Andrew Constantinidis, who ran to replace Mr. Liepert in the 2012 provincial election. While many of his supporters flocked to the new provincial party, some in the Wildrose establishment see Mr. Anders as a political liability whose ideology could challenge their attempt to rebrand as a moderate conservative alternative to the governing PCs. In the conservative bloodbath that is sure to ensue if the rumours are true, I would expect nothing less than for Mr. Anders and conservative entertainer Ezra Levant to slice directly at Mr. Liepert’s jugular. They will be sure to remind their conservative base about Mr. Leipert’s record as the Health minister who created the centralized Alberta Health Services and the Finance minister who introduced deficit budgets and talked about increasing taxes. Mr. Liepert’s ties to the provincial PC establishment date back to the Peter Lougheed era, when he worked at the Legislative Assembly and was appointed as a staff member at Alberta’s trade office in Los Angeles. He first ran for the PC Party in 1993, first in an unsuccessfully bid for the party nomination in Edmonton-Glenora and then as the PC candidate in Edmonton-Highlands-Beverly (in the election he was defeated by his Liberal opponent, Alice Hanson). He was first elected to the Assembly in 2004 as the PC MLA for Calgary-West. Mr. Leipert is no slouch. In provincial politics, he thrived off the cut and thrust of partisan conflict. Whether he could win the Conservative Party nomination against Mr. Anders is yet to be seen. There is no shortage of criticism of Mr. Anders. Perhaps the most hard-edged social conservative in Ottawa, he is well-known for being the sole parliamentarian to vote against granting former South African president Nelson Mandela an honorary Canadian citizenship. He also embarrassingly attacked two Canadian Forces veterans, who he described as “NDP hacks.” He used his podium at an official Government of Canada press conference to endorse right-wing conservative Ted Morton. And he recently suggested that former NDP leader Jack Layton‘s death was hastened by now-leader Thomas Mulcair. Since he was first elected in 1997, Mr. Anders has been challenged by many high profile conservatives and easily defeated all of them in nomination battles. At the age of 24, Mr. Anders, then a young Republican Party provocateur, returned to Canada to defeat nine other candidates to win his first Reform Party nomination in Calgary-West. His election coincided with the election of a group of young conservative Reformers, including Jason Kenney and Rahim Jaffer. If he is challenged by Mr. Liepert in the upcoming nomination, it would not be the first time a high-profile politico who has attempted to end Mr. Anders career in Ottawa. 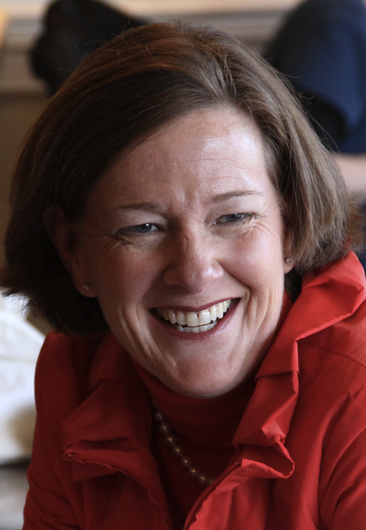 In 2004, future Progressive Conservative premier Alison Redford made her first jump into electoral politics with an unsuccessful nomination bid against Mr. Anders. Mr. Liepert was her campaign manager. Internal nomination contests are not the only area Mr. Anders has faced challengers. In the 1997 election, alderman and future mayor Dave Bronconnier led an unsuccessful campaign against him as the Liberal Party candidate. In the 2000 election, Mr. Anders defeated both former Calgary-North West Liberal MLA Frank Bruseker and PC candidate Jim Silye (a Reform Party MP for Calgary-Centre from 1993 to 1997). Wind energy entrepreneur Justin Thompson earned 29% as the Liberal candidate in the 2004 election, the highest of any of Mr. Anders challengers. And the 2006 and 2008 elections, former Calgary Board of Education trustee Jennifer Pollock carried the Liberal banner against Mr. Anders. Despite these high-profile challengers from inside and outside his party, Mr. Anders has yet to face electoral defeat in the political arena. This entry was posted in Alberta Politics, Calgary Politics, Canadian Politics, Candidate nominations and tagged Alice Hanson, Alison Redford, Andrew Constantinidis, Calgary Signal Hill, Calgary-Centre, Calgary-Currie, Calgary-North West, Calgary-Varsity, Calgary-West, Conservative nomination, Dave Bronconnier, Donna Kennedy-Glans, Edmonton-Glenora, Edmonton-Highlands-Beverly, Ezra Levant, Federal Election 2015, Frank Bruseker, Jack Layton, Jason Kenney, Jim Silye, Jocelyn Burgener, Nelson Mandela, Peter Lougheed, Progressive Conservative, Proxy war, Rahim Jaffer, Rob Anders, Ron Liepert, Ted Morton, Thomas Mulcair, Wildrose on January 6, 2014 by Dave Cournoyer.